This equipment is often automated, has a flexible system of adjustment and control (with the help of hydraulics, electromechanics, pneumatics, and hand tools). Concrete mixing node (CMN) performs the task of preparing a construction mixture of a certain brand. And not only classic concrete, but also compacted, latex polymer, self-compacted, foam concrete, as well as various fast-hardening mixtures, soil stabilizers, low-flowing solutions. In view of a wide variety of systems involved in creation of concrete and similar building materials, there are several different classifications of this equipment. According to the principle of installation permanent and temporary constructions are distinguished. 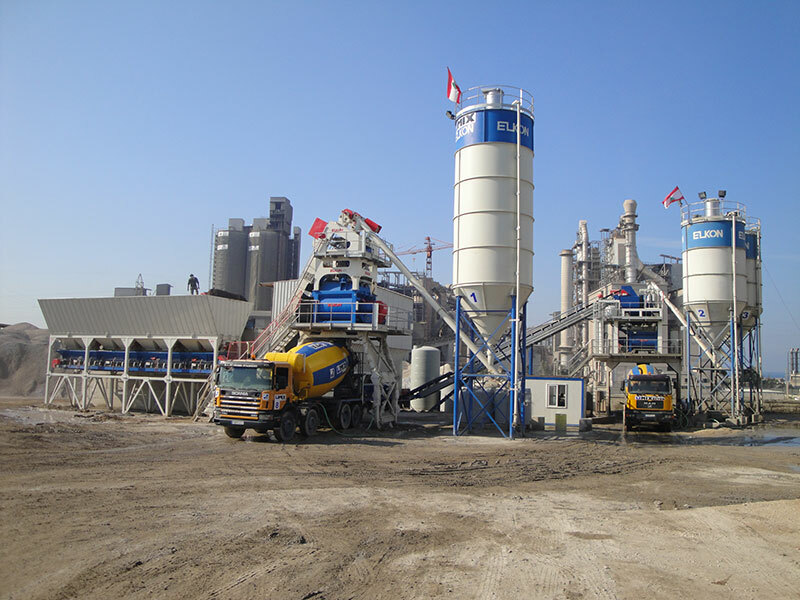 Stationary concrete mixing plant is usually a part of a large production complex and daily performs its work, providing the enterprise with high quality products. On-site stations are characterized with a high speed of installation and the ability to manufacture plastic mixtures taking into account the specifics of a particular production. Mobile concrete mixing plants are used as a temporary facility, being located on construction sites when concrete is needed. With an eye on the specificity of mixing ingredients in the machine, there are distinguished concrete mixing node using a gravity principle, a pneumatic system, a forced mechanism or working on the basis of several technologies at once. 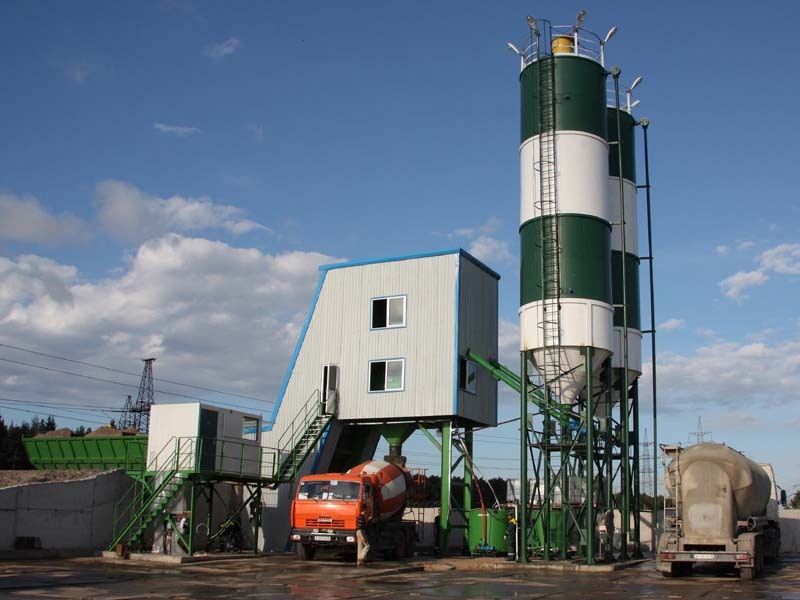 According to the nature of the operation, there are distinguished cyclical concrete mixing plants that operate cycle by cycle, loading, mixing and dispensing material in stages, as well as continuously operating plants, whereby it is possible to simultaneously load, mix and transfer concrete to the top. 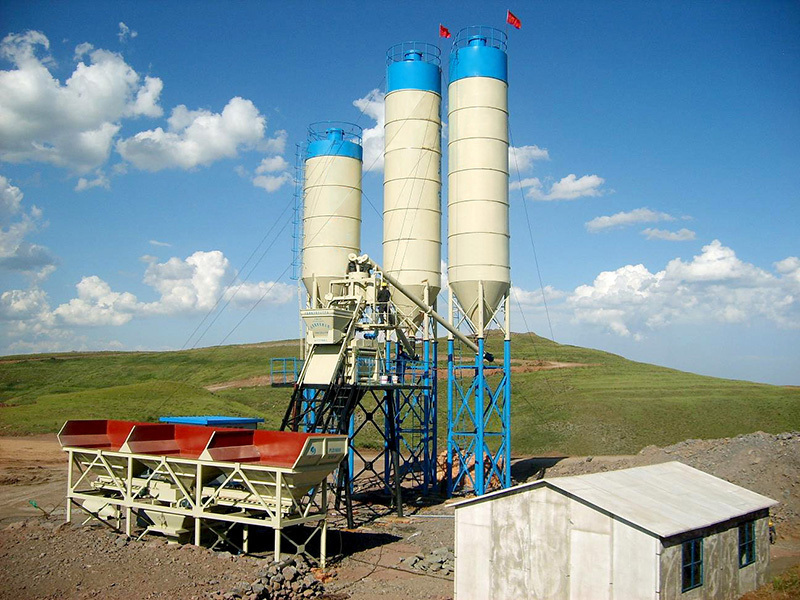 Depending on the principle of transfer of raw material, there are one-stage (also high-altitude) concrete mixing plant and two-stage (partner). The first raises the source only once, and the finished product already enters the reservoirs due to gravity flow. The second one performs lifting of the material twice: first – transferring it to the flowmeter, and then – with a lift or conveyor – into the mixer. Concrete mixing plant of industrial sample is a product, a priori designed for operation in a high load mode. Such a system is ready to cope with significant volumes of work, serving one large manufacturing enterprise, as well as several construction sites. durability of functioning, good margin of strength. In addition, consumers note moderate prices on this product with its excellent payback: a good concrete mixing plant, the price of which corresponds to its quality, will pay off very quickly in conditions of active operation. large utility companies that carry out street repairs, perform masonry of sidewalks, curbs, etc. The universality of these systems is that they are able to work with various substances as raw materials. To obtain concrete with certain characteristics it is important to properly comply with the technical process.